Is This Kendall Jenners ’57 Corvette? Although she doesn’t pose as much as her younger sister, Kylie, Kendall Jenner does love her selfies and giving her 40+M followers something to talk about. Whilst Kylie grabs at any opportunity to show off her rides, Kendall has weirdly not felt the need to share a pic of this gorgeous ’57 Corvette C1. This begs the question whether it is actually hers, although according to TMZ, Kendall was driving the classic in Beverly Hills and it appears it was a 20th birthday gift she gave herself. I hope it is hers – it would make a change for a Jenner or Kardashian to show some good taste. 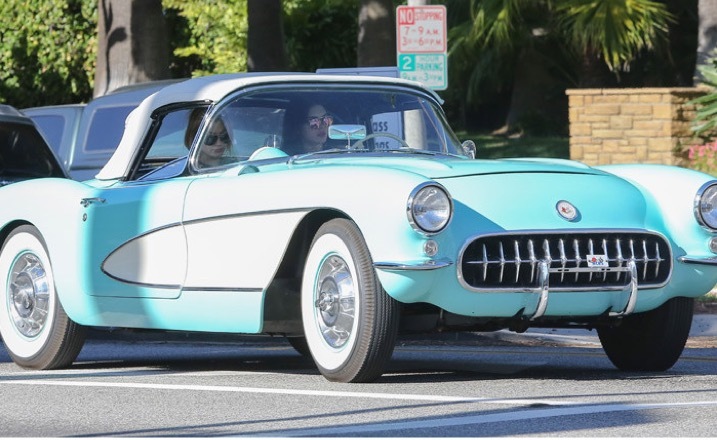 One Response to Is This Kendall Jenners ’57 Corvette? Wow! That is a great looking car!